If you think the appetite for smart buildings is limited, you might want to reconsider your position. Thanks to a rapidly growing urban population and increased environmental regulation, operational efficiency is getting more attention. The Internet of Things (IoT) and other advances in technology are key enablers of this efficiency. Gartner research shows IoT can help reduce the cost of energy, spatial management and building maintenance by up to 30 percent. Therefore, smart buildings provide a path to a prosperous future. A smart building uses automated operations, such as IoT, to control its processes. This impacts design and construction, energy usage and how employees engage with the space according to Schneider Electric. Systems are integrated, and data are analyzed to cut energy waste and operating costs — and ultimately boost human and business capital. To do this, the power of new technology including mobile, cloud-based systems, artificial intelligence, self-monitoring and collaborative platforms is harnessed to make radical improvements in the performance of the building. McKinsey, which has analyzed the market opportunity for IoT in many different industries, predicts there will be between $70 billion and $150 billion of value creation by 2025 within offices due to IoT. Key areas of savings include a 25 percent reduction in maintenance costs and a 50 percent reduction in unplanned outages. Smart buildings will also increase revenue opportunities and enable the delivery of new business models. Given the inherent issues associated with more traditional buildings — adhering to new regulations, inefficient system costs and implications of investment reputation — the value of using cutting-edge technology in buildings is obvious. And lucrative. Additional research by McKinsey revealed the IoT economic impact on buildings could reach $6.3 trillion by 2025. Advances in IoT mean that the digitization of buildings is a priority for many companies whose operations are increasingly autonomous. Aside from the reduction in manpower and costs required to control these processes, integrated connectivity across the workplace allows the building to work smart and react to the needs of its occupants, inside and outside working hours. An example of this is the automated adjustment of room lighting and temperature based on the number of occupants. Something this simple can substantially reduce energy waste for a business. More occupants expect their offices to have modern, easy-to-use technology. In research published by Dell and Intel, workers are not only ready for businesses to implement the latest technology to make their offices smarter, they expect it to happen within the next five years. Specifically, 44 percent of employees worldwide feel that their workspace isn’t smart enough, and more than half expect to be working in a smart office within the next five years. This expectation is highest among the younger workforce, with 69 percent expecting to be in a smart office within the next five years. The consequences for not meeting these expectations is also greater for the millennial workforce. Forty-two percent said they would quit a job with substandard technology and 82 percent said workplace technology influences what role they would take. Furthermore, most workers place an emphasis on functional benefits with 63 percent of millennials and 55 percent of older workers (over 35 years old) indicating they would rather have high-tech perks, such as augmented/virtual reality (AR/VR) and IoT than low-tech perks like ping pong and free food. The modern workforce is also demanding smarter environments such as apps that guide employees to open workstations and meeting rooms, windows that tint in response to outside conditions, and coffee machines that recognize you and suggest types of drinks. Smart buildings connect a range of subsystems to ensure data and intelligence is shared. 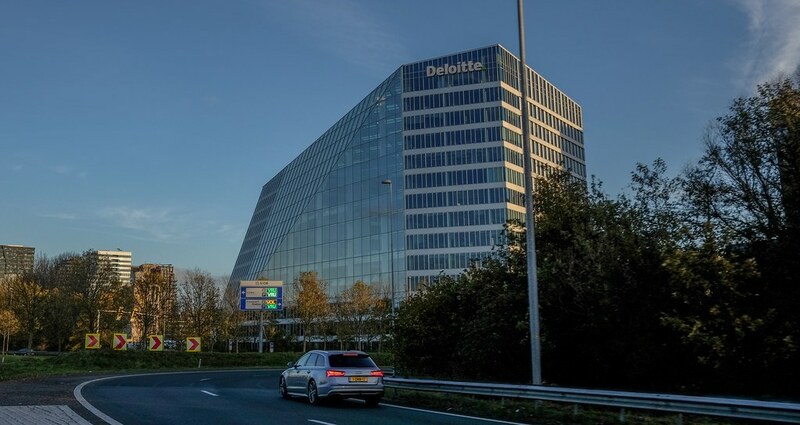 When Deloitte designed its Amsterdam HQ, the company set out with the help of Schneider Electric to create a connective benchmark for energy efficiency. Their bold idea was to create a smart building that generates more energy than it consumes. Through a collaborative IoT platform, Deloitte can now easily connect systems and collect building data to create algorithms, which optimize the comfort and productivity of employees while maximizing energy efficiency. With real-time access to critical building data, Deloitte has the power to control several systems from a single platform. The result was the “The Edge,” a net zero energy office building. After receiving at the time of its completion the highest sustainability score of 98.4 percent by British rating agency BREEAM, it was labeled one of the greenest offices in the world. Smart buildings are becoming even more enticing. With The Edge as an example of what is possible, occupants looking for more tech perks and greater environmental regulation, don’t expect this interest to disappear anytime soon.